Utrecht based dance music producer Maddix is about to drop what may be one of Revealed Recordings’ best tracks of 2015. 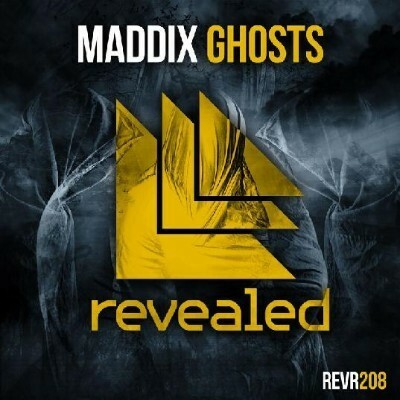 ‘Ghosts’, available now, is possibly one of the strongest songs Maddix has produced in his short career, an ethereal, atmospheric take on electro house with a pulsating, thumping twist. Fluctuating between a synth-driven melody, towering drops, and the Maddix beat, the track demonstrates the familiar sound that was present on ‘Riptide’ - his previous Revealed release. It may well be another step towards the upper echelons of the genre for the young Dutch artist. On his remixes for Calvin Harris, Sick Individuals and Dannic, Maddix showed his keen ear for the intricacies of the electro-house sound, and on his own releases such as ‘Vortex’, ‘True Blood’ and ‘Gravity’, he showcased his own sound, with support from the likes of Hardwell, and Dyro.